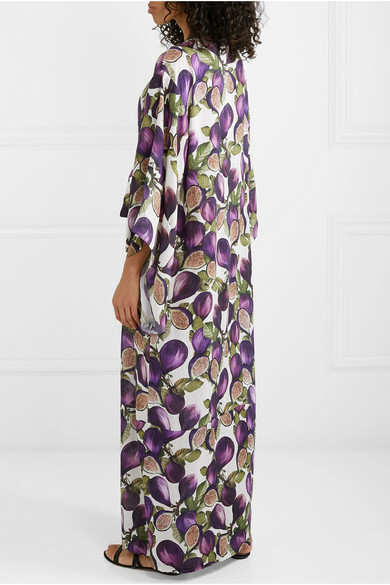 Adriana Degreas describes its pieces as 'the new vintage' thanks to retro-inspired detailing or motifs, such as the vibrant 'fig' print on this robe. 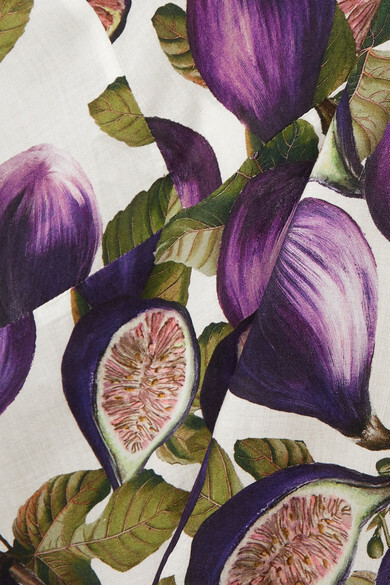 It's cut from airy voile in a loose fit that'll layer well over bikinis or jeans and a camisole. Shown here with: Adriana Degreas Bikini, Dragon Diffusion Tote, Cult Gaia Sandals.